The (human) genetic code encodes 20 amino acids. They form a protein using peptide bonds. Each amino acid has a carboxyl group (COOH) and an amino group (NH2) that can potentially form a peptide bond. Does this property of amino acids means that each amino acid can form a peptide bond in any combination? In other words, are there certain amino acid doublets in existence that never pair up? Short answer: there are no restrictions in principle on which amino acids can follow which. That means that in principle you can have polypeptide in any configuration: AAAA, WQWQWQ etc. Problem is that polypeptides must be functional and, because they are in aqueous solution, it puts restrictions on how polypeptide form secondary and tertiary structure. It means that having very rigid hydrophobic surface is energetically unfavorable. If cell where to produce such polypeptide, it might be either degraded or cause problems for cell, such as aggregates or other form of toxicity. That means that polypeptides has more restrictions than just linkage (C-N bonding) order. And of course it has been studied: Probabilistic analysis of the frequencies of amino acid pairs within characterized protein sequences. Authors analyzed protein databases to find out which doublets of amino acids are more and less common. 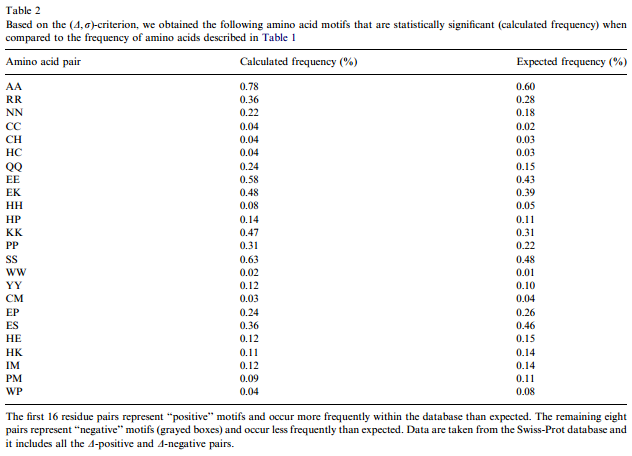 First of all, not all amino acids (of which there are 20 considered) have same occurrence, e.g. P(L, leucine)=0.096, P(W, tryptophan)=0.0118. It seems like you may be thinking along the lines of DNA, where adenine pairs only with thymine and guanine with cytosine. ...so there is no pairing of compatible types like there is in DNA. 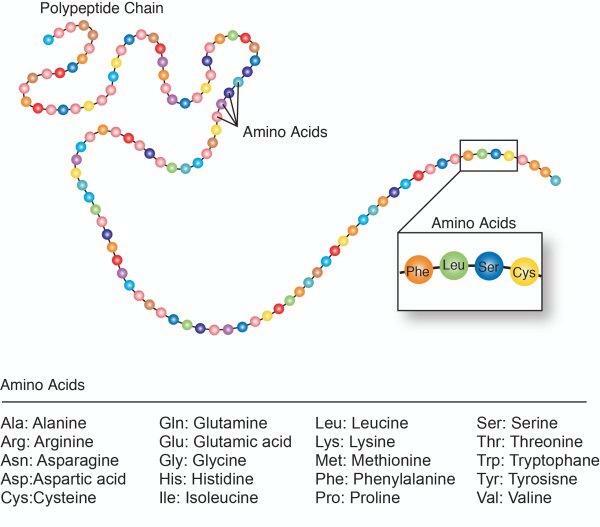 Neighboring amino acids in the chain can be in any combination (as you say, because each has a carboxyl group and an amino acid group), just as neighboring nucleotides in DNA (ie those next to, not across from, each other) can come in any order. In practical terms, the functional groups of amino acids have different chemical properties (hydrophobic, hydrophilic, aromatic), therefore some pairings are probably more commonly found than others. But in principle there is no restriction on who is next to who. To answer your question: No, there are no restrictions to what amino acid is next ("a nearest neighbor") to its N-terminal or C-terminal neighbor.